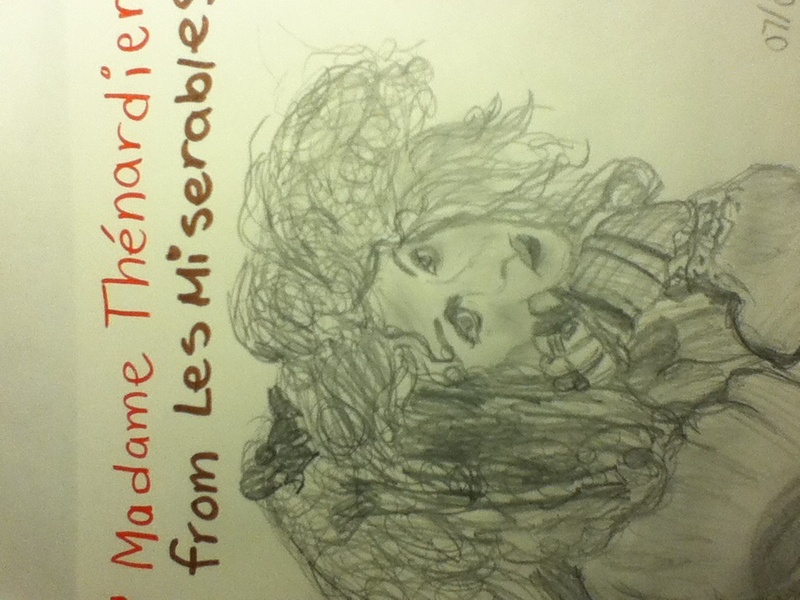 Madame Thenardier sketch/drawing :). Here is a drawing I did of Madame Thenardier from Les Mis. I worked on this two days nakaraan :) sorry about the camera positioning. It's a bit stretched. I don't have a scanner unfortunately :(. HD Wallpaper and background images in the Les Miserables club tagged: les misérables madame thenardier. This Les Miserables fan art might contain anime, comic book, manga, and cartoon.